Summer and ice cream are the sweetest pair. Celebrate the season of sunshine with a peanut butter and hot fudge sundae served in edible bowls made of milk chocolate. It’s feelin’ hot hot hot here in Florida and as the temperatures continue to sky-rocket, so does my appreciation for endless sunshine and carefree days that bring us all together. Tomorrow is the last day of school and the official kick off to squeezing as much fun out of summer as possible. Farewell homework. Goodbye packed lunches. Hello freedom to sleep in. Weeks of anticipation have prepared us for the transition from early mornings and structured schedules to lazy afternoons by the pool with not a care in the world. We have so much planned for the next two months. I can’t wait to get started on making new memories that will last a lifetime. What better way to begin the fun than with a traditional summertime treat. 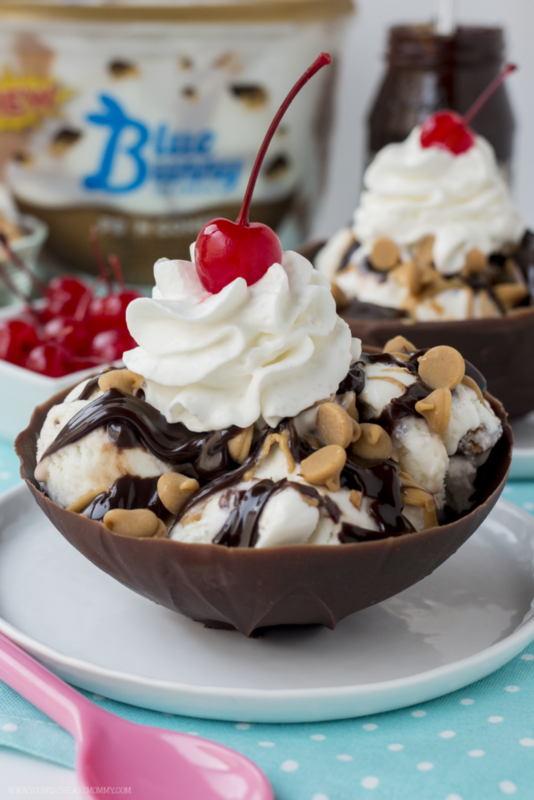 Decked out ice cream sundaes in edible chocolate bowls are the way to go. Two desserts in one are always welcomed! 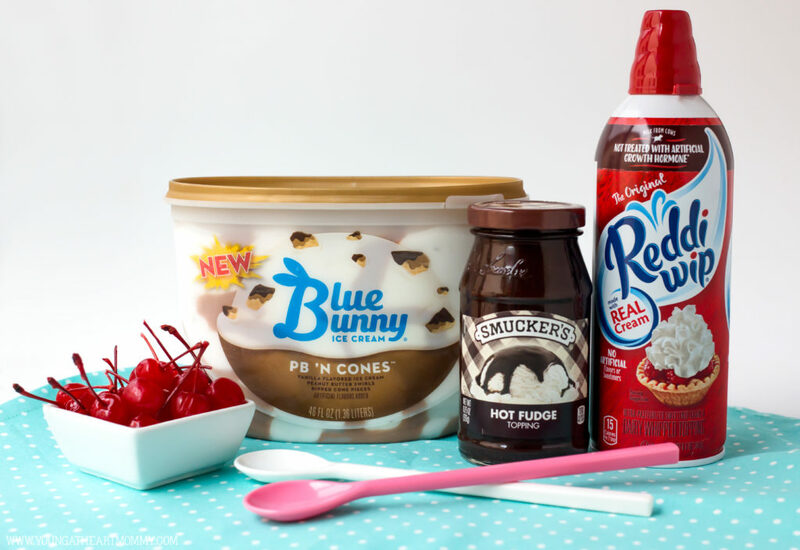 For this creamy creation you’ll need a few tried and true sundae staples to get started- ice cream, Smucker’s Hot Fudge Spoonable Ice Cream Topping, Reddi-Wip® original whipped topping, and a cherry to top it all off. 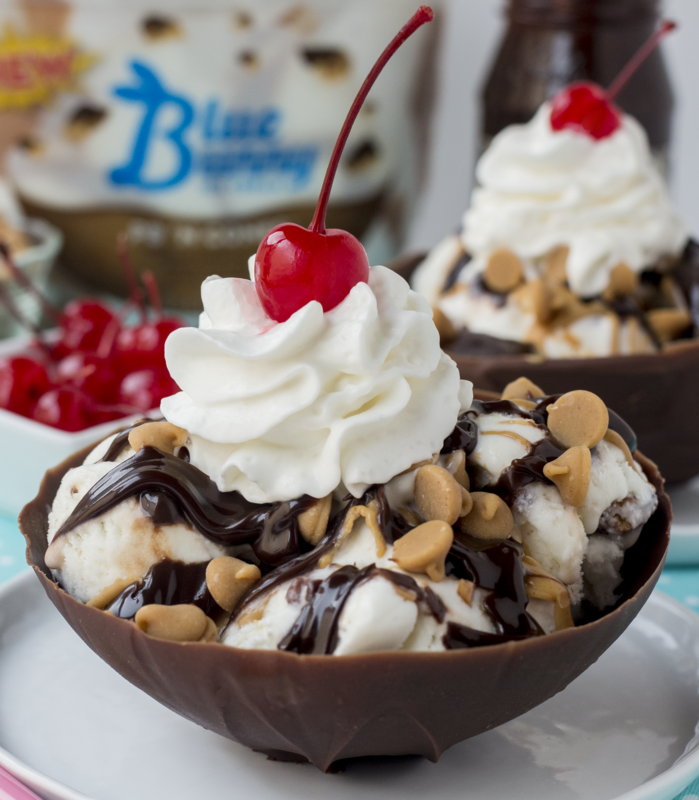 Blue Bunny® has always been a favorite of ours so I incorporated their new PB ‘N Cones™ flavor to give this treat a trendy twist. Who doesn’t love a thick peanut butter swirl and crunchy pieces of cones nestled in their scoops? This stuff is GOOD, so good that I had to pick up a back-up because apparently it’s flying off the shelves! After running around like a mad woman I finally got my hands on this tub of heaven and it was love at first bite. Blow up balloons until they are the size you would like the bowls to be. Tie them off. Choose a medium sized microwave safe bowl that is large enough to dip the balloons in for coating. Fill a little over halfway with chocolate morsels until almost full. You want there to be enough melted chocolate so the sides are evenly coated when dipped. Heat chocolate in 60 second intervals, stirring constantly in between each. Make sure there are no visible lumps or bumps. If the chocolate is too thick, add a tsp. of vegetable or coconut oil. This will thin it out and provide a smooth finish. Allow to cool for a minute or two. Line a baking sheet with parchment paper or a silicone mat. Use the back of a spoon or spatula to create small circles of melted chocolate, spaced out 2-3 inches apart to form the base for the bowls. 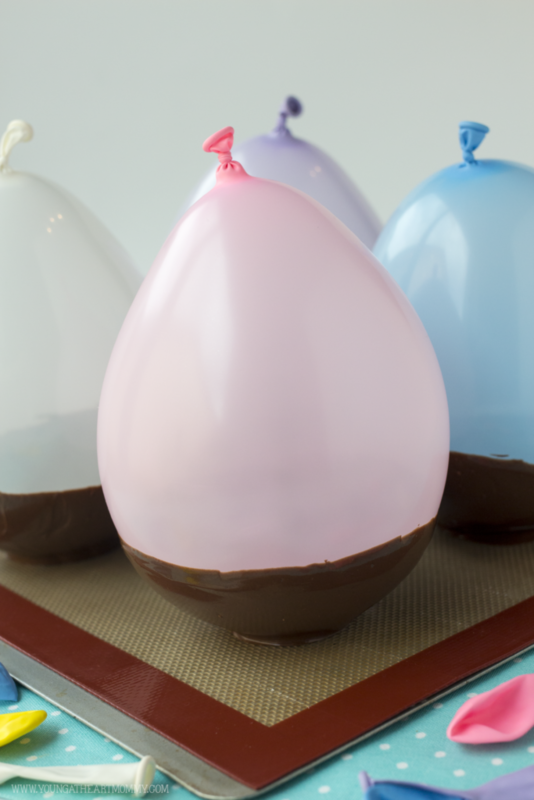 Carefully dip balloons into the melted chocolate until a bowl shape forms. If it’s not sticking, give it a few twirls and dunks until it begins to thicken around. Place them on the chocolate circles and pop the baking sheet in the refrigerator for an hour to firm up. Remove and carefully let the air out of each balloon. Use a needle or scissors to snip a tiny hole into the top of the balloon, near the tie. 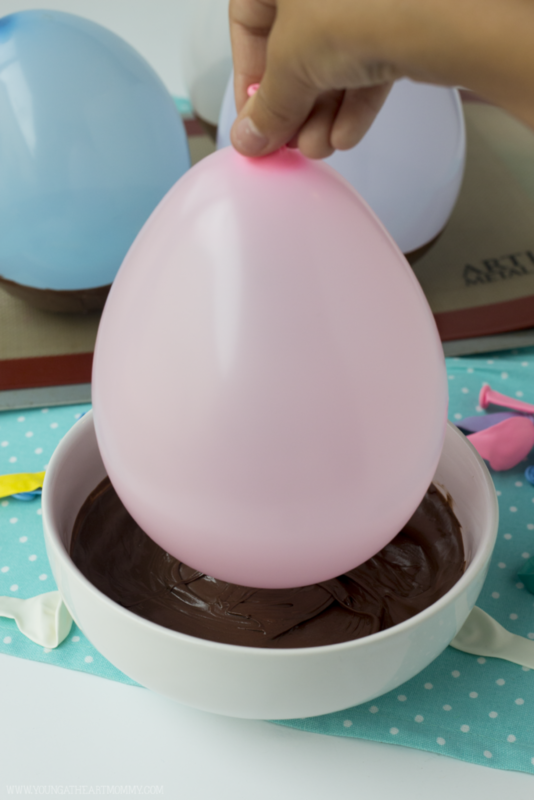 Allow the balloon to deflate slowly so the bowl doesn’t collapse. Once deflated, pull it out of the bowl. If there are any holes or tears in the bottoms, add a dab of chocolate to repair and stick them back in the refrigerator for 15-20 minutes. Serve immediately with scoops of ice cream, hot fudge, a drizzle of melted peanut butter, peanut butter chips, whipped cream, and a cherry. Kids and adults love how easy it is to make these chocolate dessert bowls! Having plenty of balloons on hand is a good idea in case any casualties occur from popping or deflating too quickly. 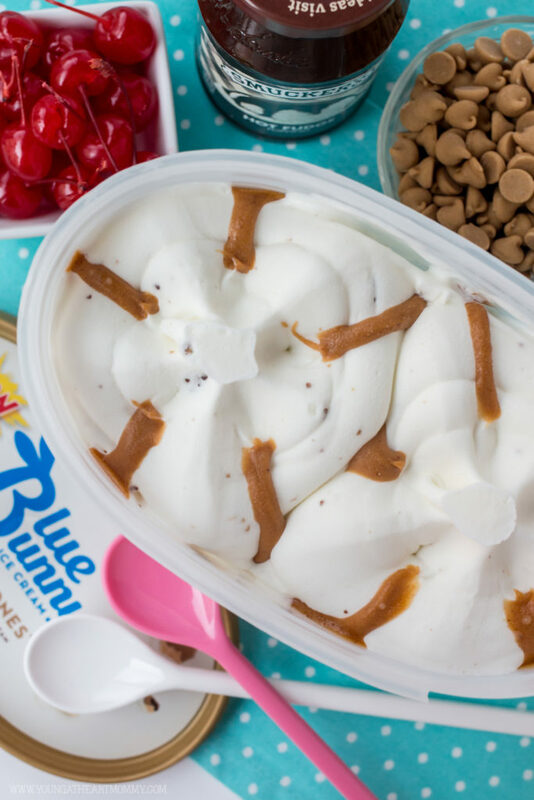 I can’t believe that Blue Bunny has been bringing delicious ice cream made with fun, fresh ingredients to families for more than 80 years! Their unique spin on classic flavors really adds a little playfulness to any occasion, especially everyday celebrations. PB ‘N Cones™ is going to be a winner this summer. 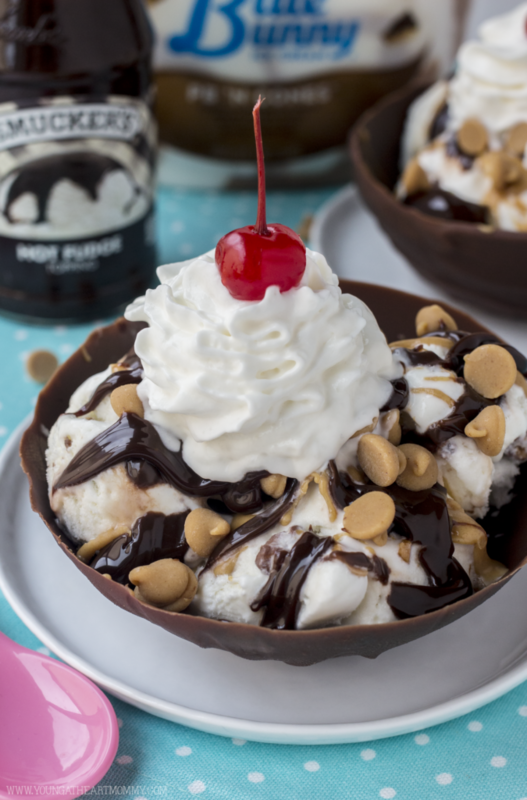 We like to dress our sundaes with a generous drizzle of hot fudge, melted peanut butter, peanut butter chips, dollop of whipped cream, AND a cherry for good measure. The bowls can handle all this pizzazz! You can find all the ingredients to make this SUPER SWEET SUNDAE at your local Walmart. 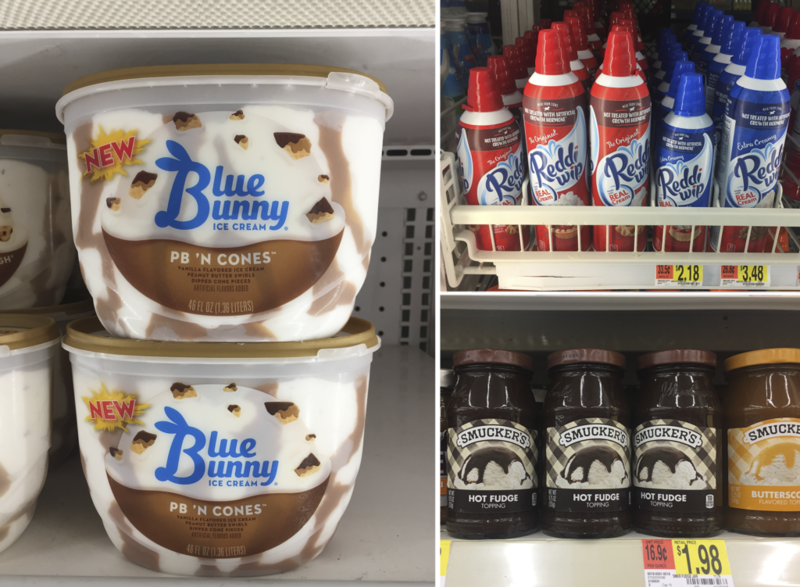 Keep an eye out for all of the newest Blue Bunny flavors in the ice cream aisle and if you spot PB ‘N Cones™ grab it while it’s available! 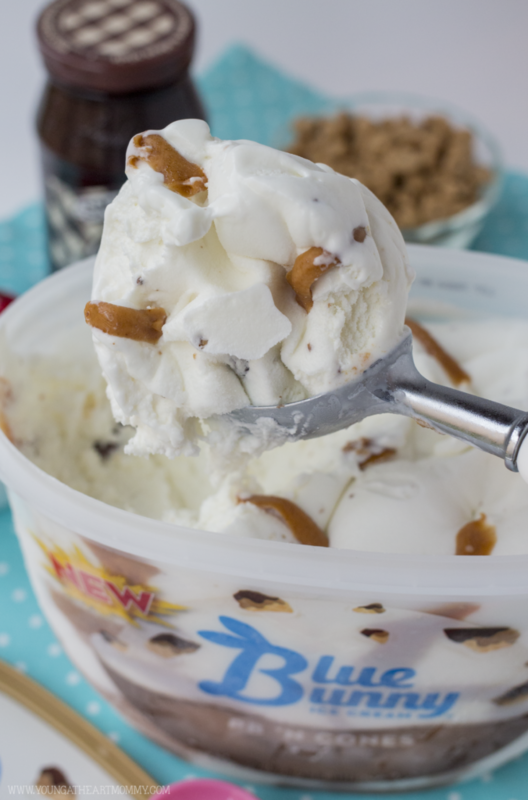 What are your favorite “Sundae Fundae” toppings? I have to make this yummy dessert for me and the kids! How amazing. It looks so cute how the chocolate bowls are made. My kids would love to make them!